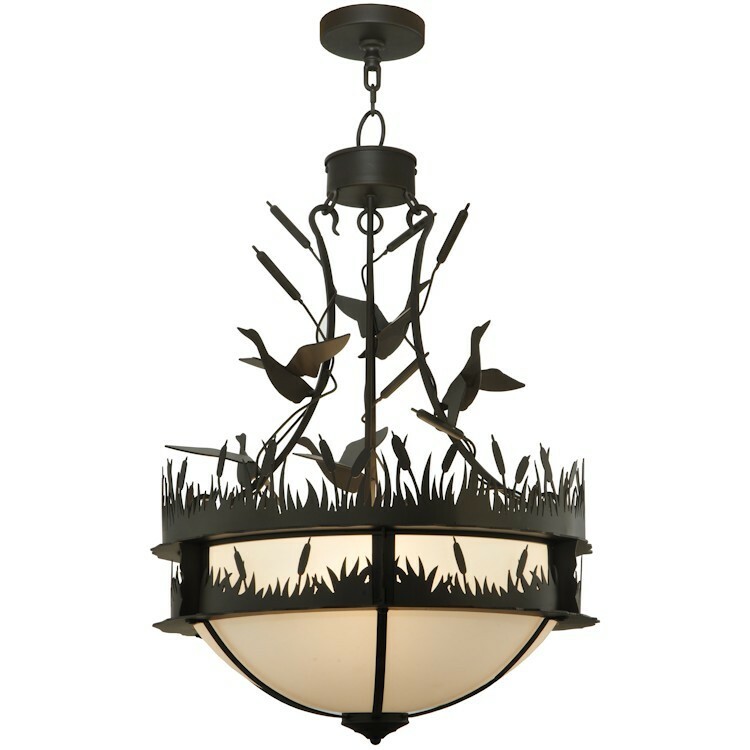 Ducks splash about the cattails and marsh grasses on this wildlife inspired Ducks In Flight Opal Pendant Light. 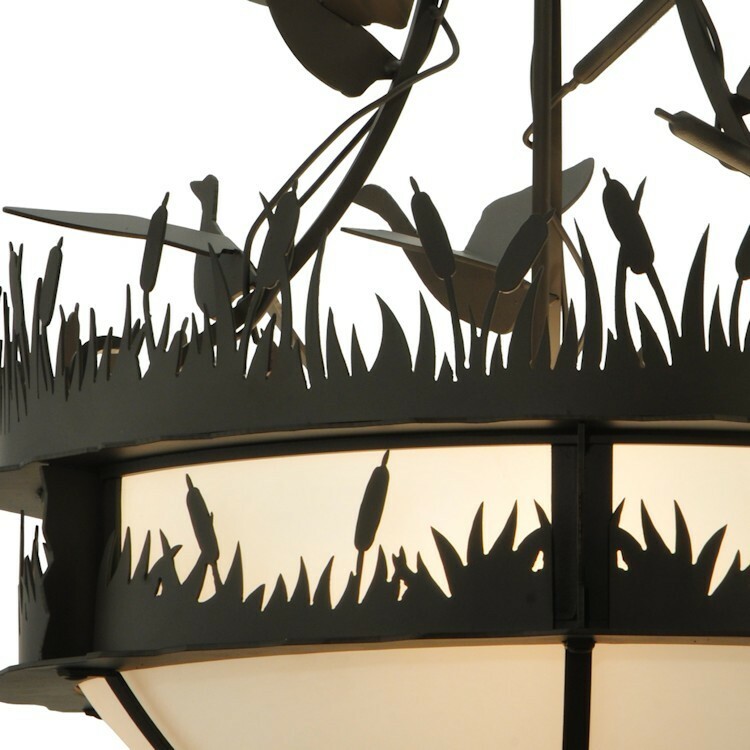 Beautiful ambient lighting projected through an Opal acrylic diffuser with frame and hardware hand finished in Oil Rubbed Bronze. 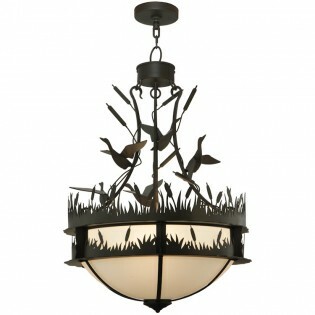 Size: 24" W x Hanging Height of 40-75"